applique, couching, or quilting. The vertical lines and diagonal piecing give this quilt-as-you-go hip-length jacket slimming lines. 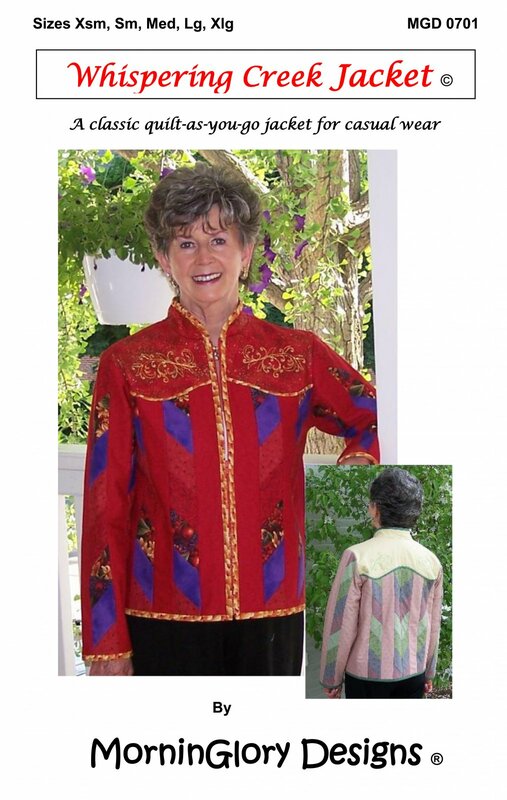 This stylish jacket features a Mandarin collar and front zipper.